Of course, it’s all very well having a tree lopped down because it was encroaching on your property and leaning dangerously close to your house, - however, being left with an unsightly tree stump isn’t exactly ideal either. Particularly if a tree was dead & rotting or perhaps you were dealing with a termite infestation. Contrary to popular belief, a tree stump can actually be a terrible nuisance. Depending on its size, they’re usually quite difficult to spot (especially when overgrown with weeds and grass), so people tripping over or reversing their cars into them is certainly not unheard of. In addition to that, they take up valuable, usable space and can get in the way of garden landscaping or construction projects. In that light, many people try to tackle the tree-stump removal on their own. After all, how difficult can it be? If you’re faced with a pesky tree-stump on your property and you’d like it removed safely and efficiently, then you needn’t look any further than Canopy Tree. Since 1999 we’ve been making incredibly short work of tree stumps, so rather than toil and struggle away on your own, give us a call. Replanting – Removing tree stumps and their roots will provide you with a clear area for replanting. Paving – Clearing the tree stumps on your property will allow you to level a problem area and have it paved. Building – Construction on an area that is littered with tree stumps is impossible. By safely and effectively clearing tree stumps you’ll be able to effectively crack on with any planned construction projects. Safety – Again, unless you have the appropriate machinery, safety equipment and experience, tree removal can be a dangerous process. 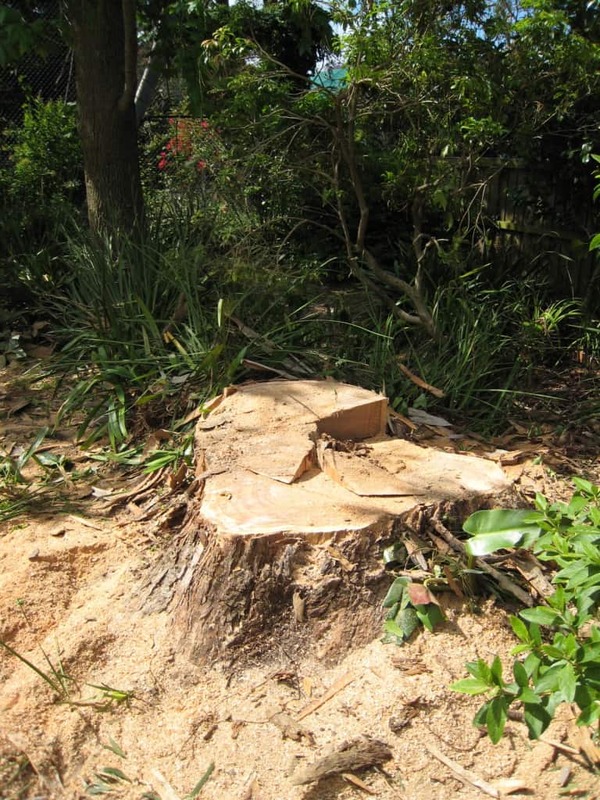 Cost-Effective – Tree stump removal through the professionals is far more cost effective than trying to go it alone. Besides having to hire the appropriate equipment, accidents are more likely to occur. Don’t run the risk of damaging your property or causing yourself unnecessary injury and let us take care of your tree stump issues on your behalf. Stump grinding can make stumps less of a hazard and prevent re-growth and the possible spread of disease. With the correct equipment and the right experience, tree stump removal is a breeze. It certainly doesn’t involve trying a rope around it and pulling it from the ground. People have tried this in the past and it either ends with a terribly damaged vehicle, or the stump flying out and smashing through the windscreen. Simply put, if it doesn’t end with the damage of your vehicle or equipment, you could end up doing yourself some serious damage as well. Typically speaking, a tree stump grinding machine will be used to level the stump (up to 10 meters in diameter). Following that the machine will be used to grind a further 2 feet into the ground. - This is to ensure that all of the tree's roots are ground up, leaving a safe and clear area for replanting afterwards. 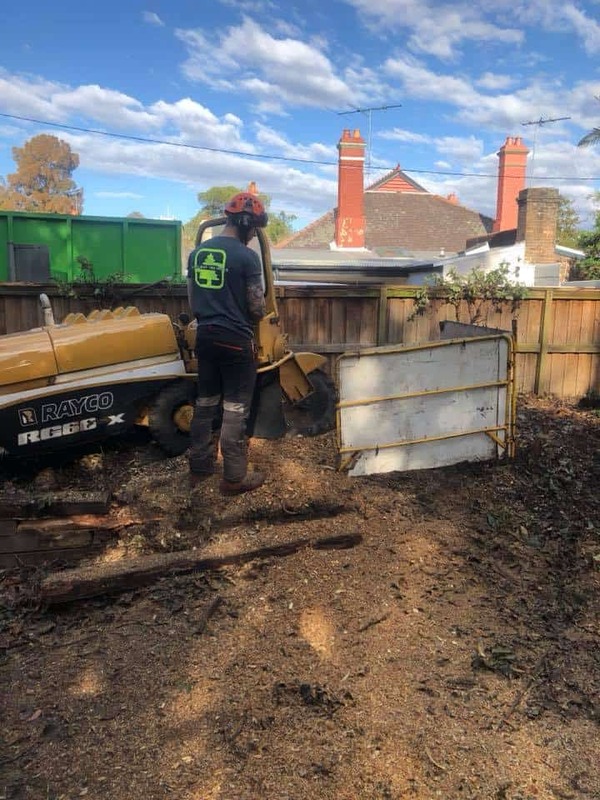 No matter how big the stump, how many there are or how easily accessible the area is, Canopy Tree removal has access to the equipment, we have the experience and we have the know-how to tackle them, no problem. Stumps are hard to remove by hand and often need to be ground out with a stump grinding machine. All tree stumps (up to 10m diameter) can be removed, including those in areas difficult to access. On most occasions, the stump is ground out completely up to 2ft deep allowing replanting afterwards. Sometimes if there are underground utilities, only the stump surface can be removed to avoid damage. Canopy Tree Removal Services has the ability and experience to remove stumps of all sizes and in all access situations. For an obligation free quote today, email us a description and photos of the site access and stump/s requiring removal, we can then provide you with a detailed quote.